ZTE recently launched their latest Windows Phone smartphone here in the UK, the ZTE Tania, and now it looks like the handset may be headed to the US according to ZTE’s North American president Lixin Cheng, who recently spoke to Cnet. Unfortunately he did not say when the handset would launch in the US, only that it would be available some time later this year, and no details on any specific carriers were mentioned. 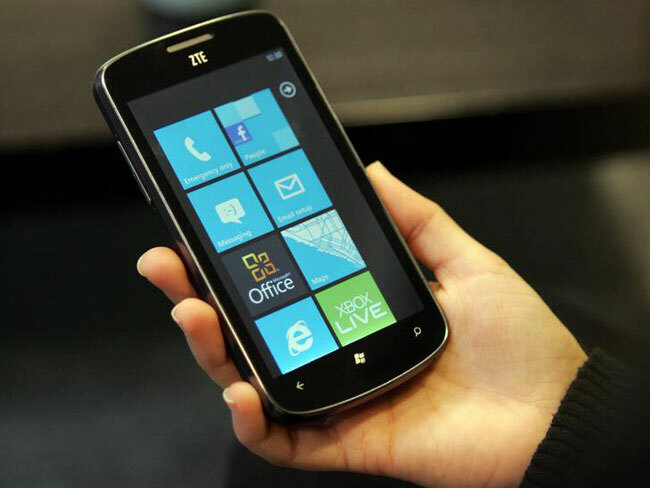 As a reminder, the ZTE Tania features the latest version of Microsoft’s mobile OS, Windows Phone 7.5 Mango and the device features a 4.3 inch touchscreen display with a resolution of 800 x 480 pixels. Other specifications on the ZTE Tania include a single core 1GHz Qualcomm MSM 825 processor and it also features 512MB of RAM and 4GB of built in storage, a 5 megapixel camera with auto-focus and a flash, plus A-GPS and WiFi. As soon as we get some more information on when the ZTE Tania will launch in the US, along with some pricing details we will let you guys know.